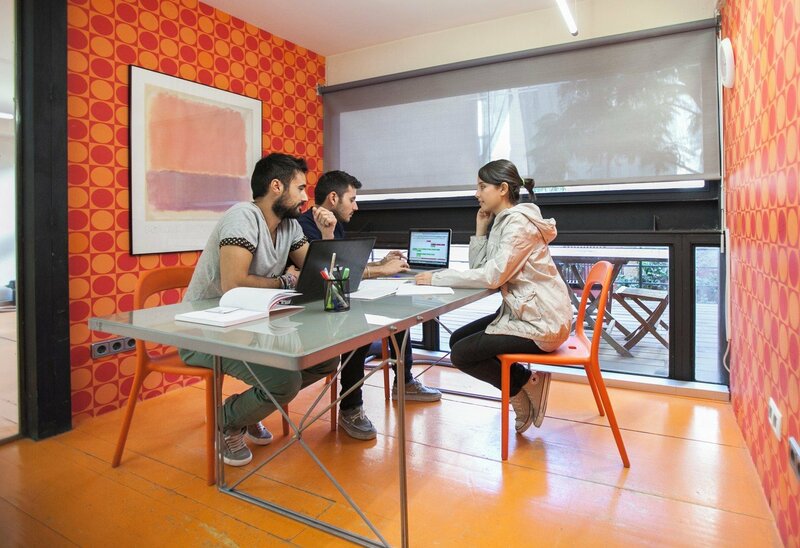 This quirky, light and colourful meeting room is for hire in the heart of Valencia. 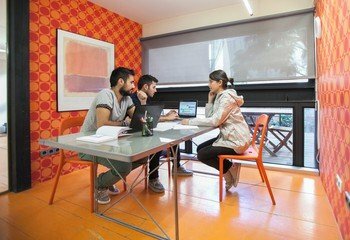 Suitable for small groups, this space is good for up to six people for all your business or co-working needs. This room is perfect for meetings and small workshops or seminars. It is in close proximity of the beautiful church Palacio del Temple E Iglesia built by the Counts of Valenciana. This stylish yet moderate space is one of many rooms we offer at this great potential training venue. This practical workshop space is available at an attractive price of €15 an hour but can also be hired for full days. There are multiple electrical power sources available inside this meeting room. Outside is a separate terrace overlooking greenery and includes wooden table and chairs. Please be aware that this space can be hired for a minimum of 3 hours.